PUTRAJAYA: Effective today, e-hailing service providers will be regulated by the government under the Land Public Transport (Amendment) Act 2017 and the Commercial Vehicle Licensing Board (Amendment) Act 2017. 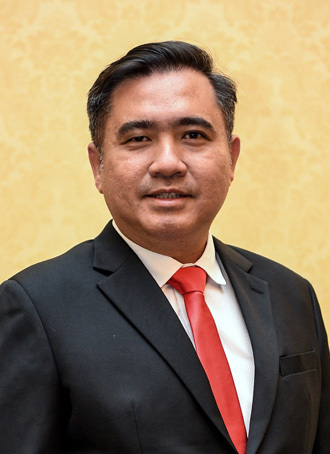 Transport Minister Anthony Loke Siew Fook said starting today all e-hailing companies must register with the Land Public Transport Commission (SPAD) as mediation business and would have to pay an annual fee of RM115, similar to taxi drivers. “Following various complaints from both taxi and e-hailing drivers, SPAD has drafted the terms and conditions that will apply to mediation business and e-hailing drivers. “The move is also in line with the taxi industry that involved conditions to apply for licence; conditions for vehicles; conditions for driver worthiness and conditions for operations,” he told a media conference here yesterday. Loke said the decision was made based on a survey conducted by SPAD on 46,000 respondents, of whom 70 per cent preferred that e-hailing to be regulated by the government and a total of 52 per cent of passengers opted for e-hailing services. On the conditions for licence application, Loke said e-hailing companies need to register with the Companies Commission of Malaysia (SSM) and the Cooperative Commission of Malaysia (SKM). Meanwhile, on the conditions of drivers’ worthiness, they were similar to the terms of the Public Service Vehicle (PSV) licence and an improved criminal record filter, he said. Loke said for the conditions for vehicles, it was open to all brands of at least three-star rating of Asean NCAP or equivalent, apart from undergoing annual vehicle inspection at the Computerised Vehicle Inspection Centre (Puspakom) for vehicles that were more than three years old, and to register with the Road Transport Department (RTD). “As for the conditions for operations, e-hailing companies need to provide insurance coverage for driver, passenger and third party, similar to what is being applied to the taxi industry,” he said. Loke said despite the one-year moratorium, the ministry would keep a close watch of things and those who showed lack in commitment to comply could face problems to secure licences. He also said meter inspection for taxi class licence would only be done once a year and the drivers must undergo six-hour driving training module at the fee of RM300 per person. The training modules could be conducted by various parties including taxi companies, driving schools or companies that provide trainings that have been accredited by SPAD. On grouses by e-hailing drivers regarding high commission rate imposed by e-hailing companies of up to 25 per cent, Loke said the government had decided to cap the commission rates. “Maximum commission rate of 10 per cent has been set for e-hailing service operated by taxi drivers and 20 per cent for personal vehicle drivers while the surcharge rate will be limited to two times of the fare price,” he said.